Wonderful record, the music phenomenal, the packaging for this particular realease is just stunning. 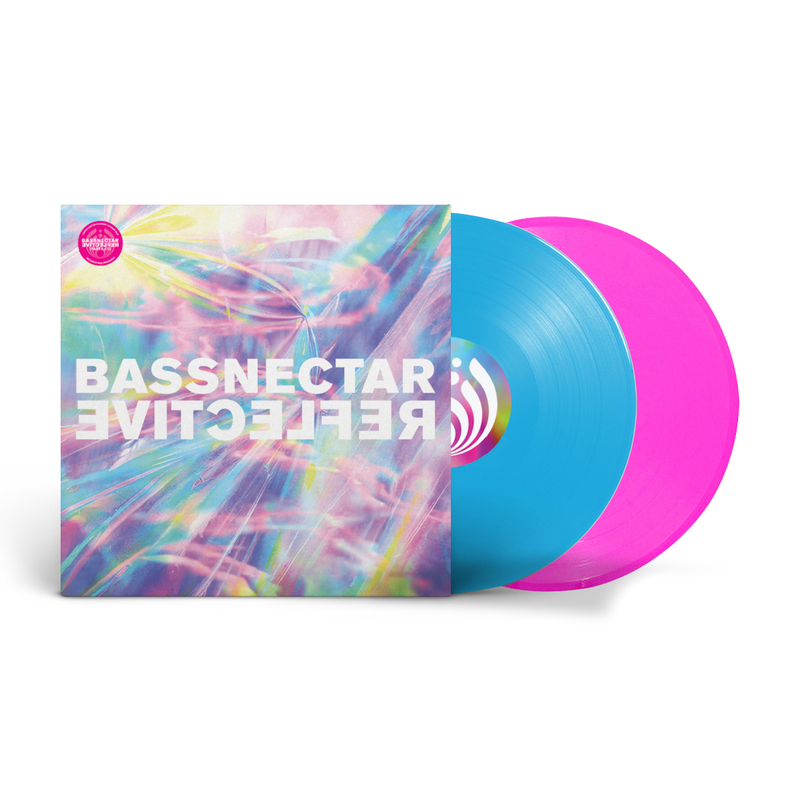 The cover from the artist Nick Thomme combines the looks of the various covers the have come out for "Reflective EP" into a colorful holographic backdrop with shiny title lettering and a Bassnectar shiny bassdrop on the back cover, it looks amazing. And then you open the bi fold to see more awesome artwork with two heavy 2-sided colored records! Blue and pink, they are beautiful. Props to Ruby Angels who designed the packaging! Thanks Bassnectar for all the great times!